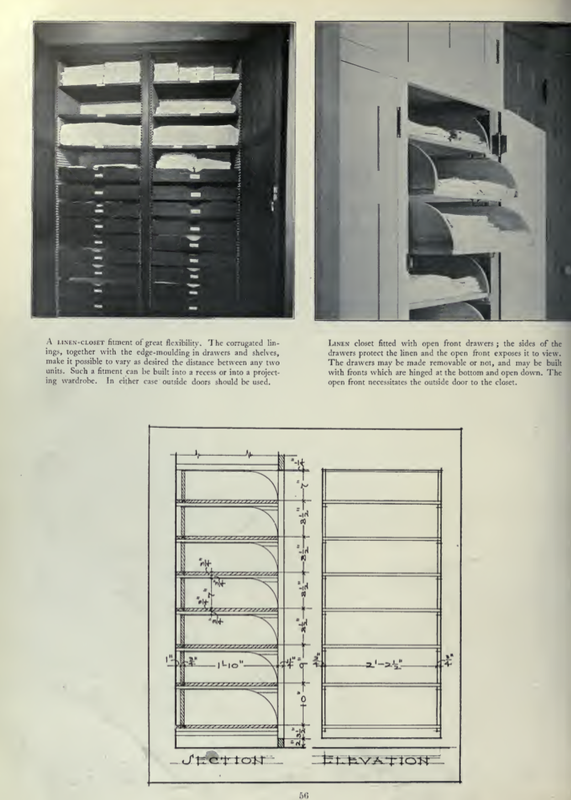 Even though I don't really need to do much more research, I seem to be addicted to downloading books from Internet Archive. 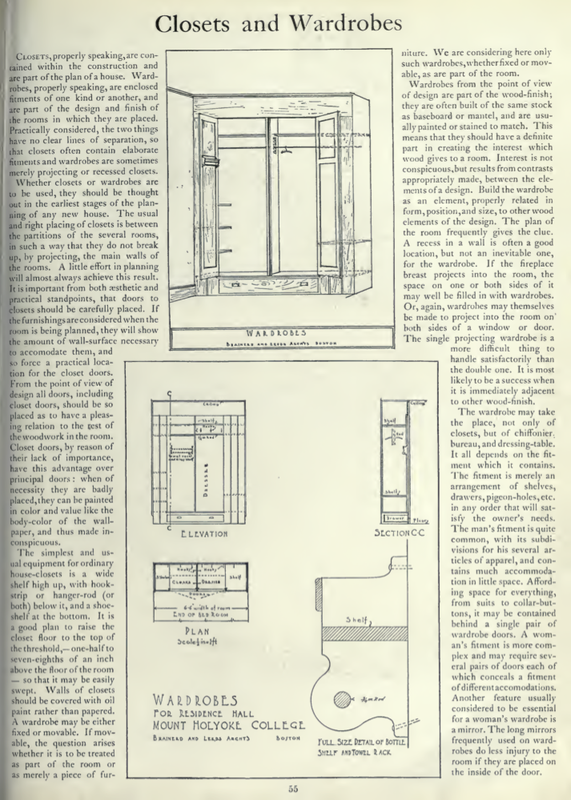 I really am a research junky. I guess I may as well put all this research energy to good use by sharing some of the good stuff I've found. Because I'm putting lots of pictures in this post, I'm going to insert a page break so it won't bog down folks loading the main page. 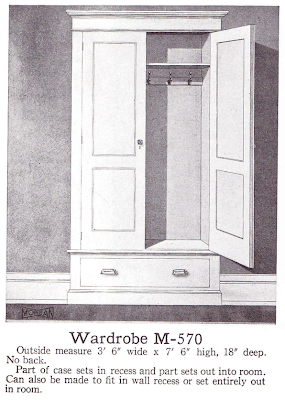 If you want to see all of the pictures, you'll have to open the post. On my mind this week are closets and other bedroom built-ins—probably because we're trying to make progress on our closet this month. 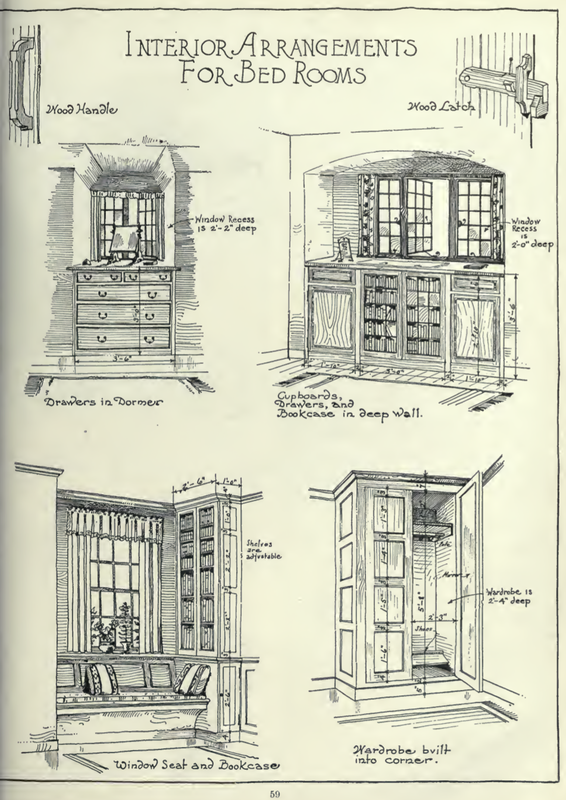 I've cited where I got the drawings. 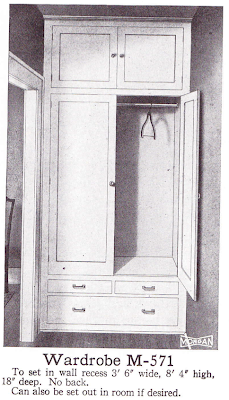 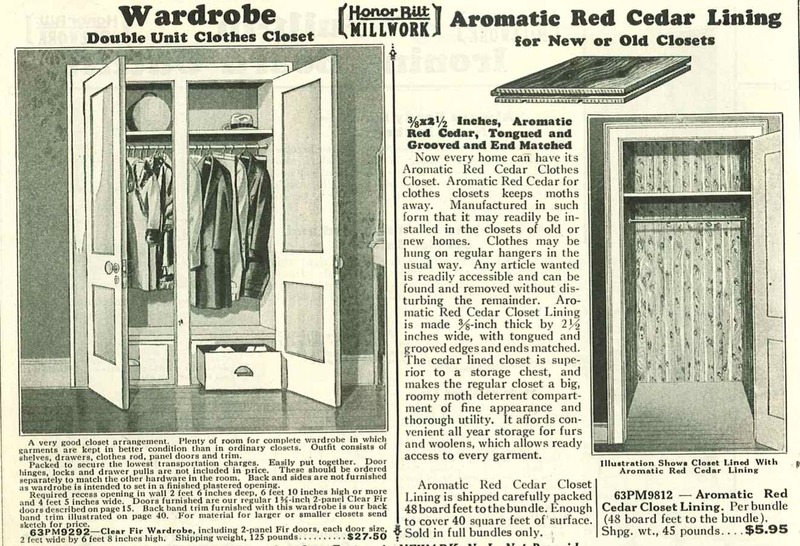 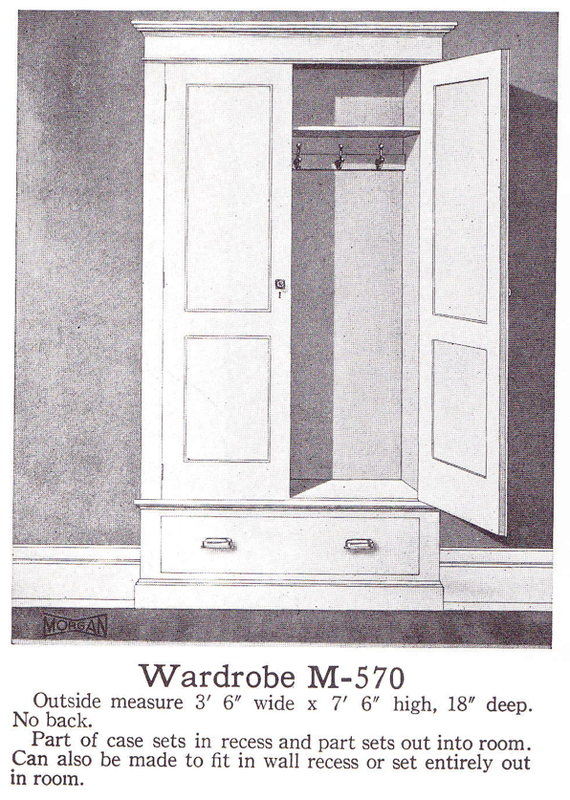 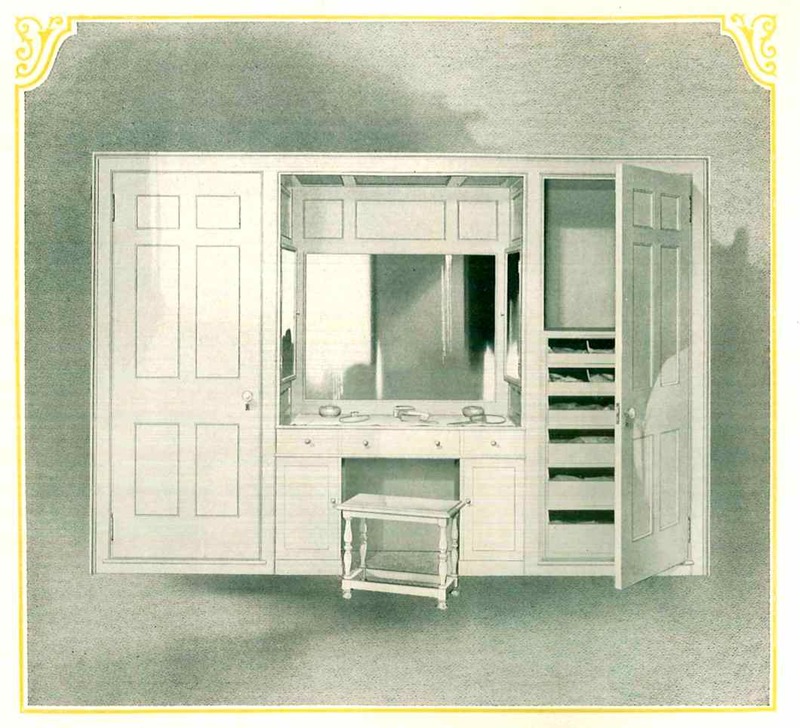 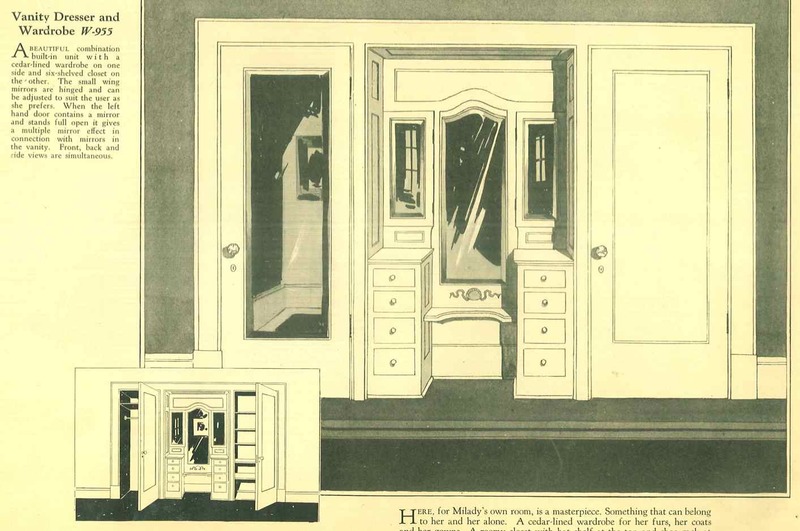 These three wardrobes are from the Morgan Millwork catalog (1921) I shared a couple days ago. 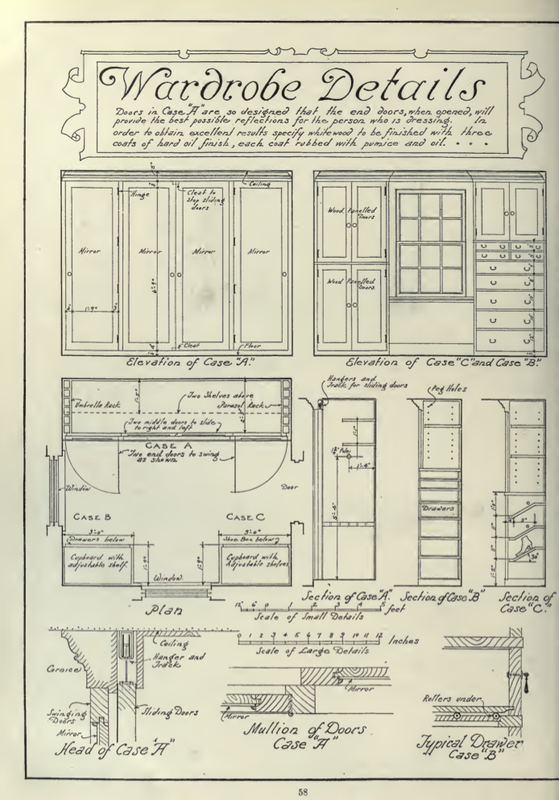 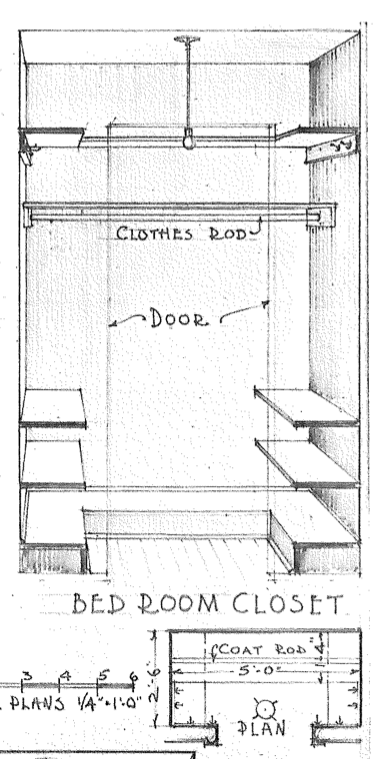 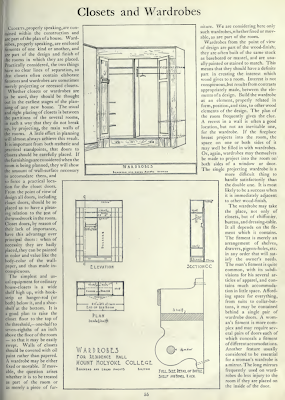 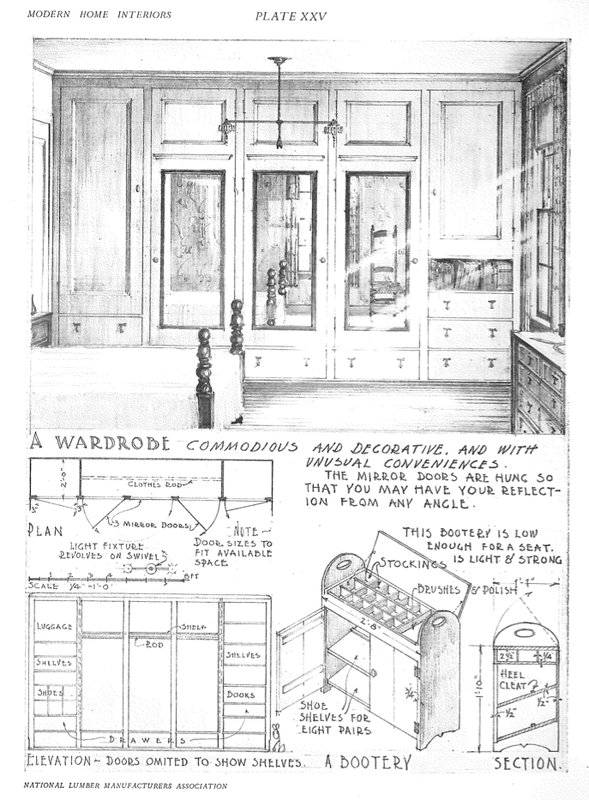 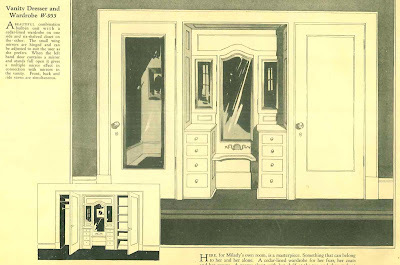 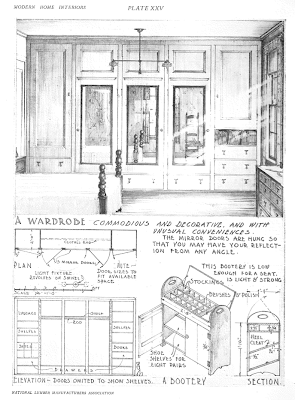 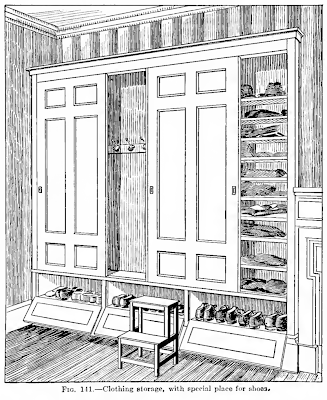 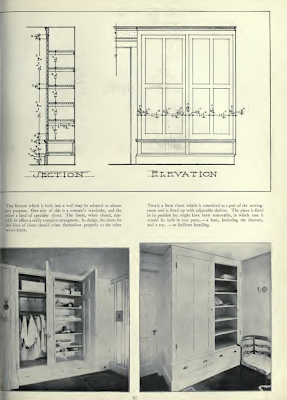 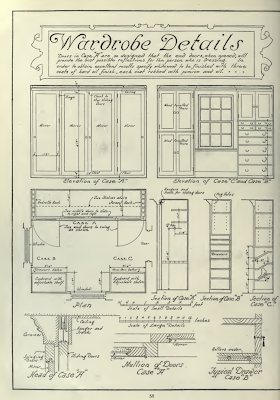 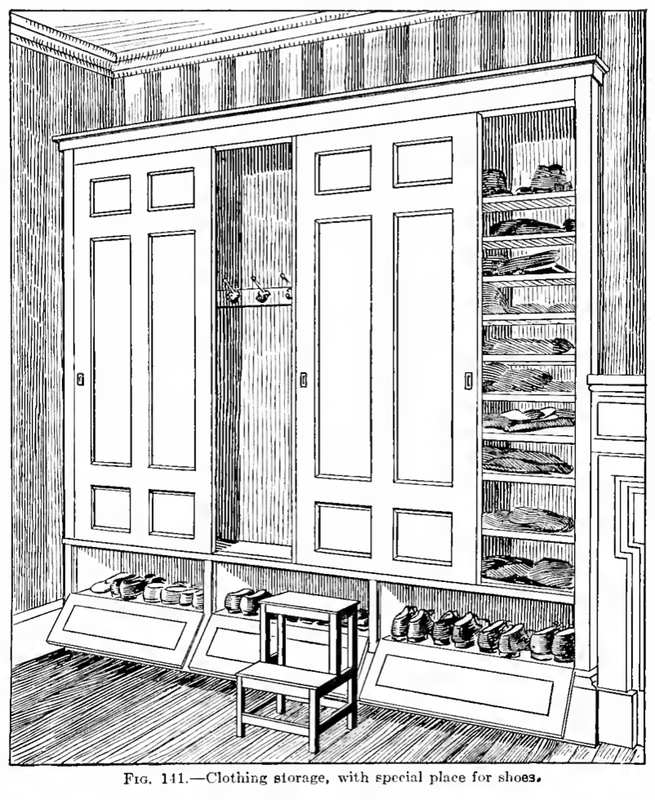 These 5 pages about Closets and Wardrobes are from the book What Makes the House Beautiful: A Collection of Building Details and Measured Drawings, published in 1920 by Henrietta C. Peabody. 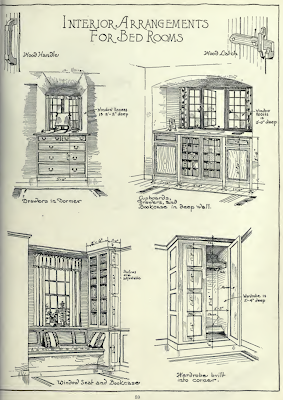 And three more from various sources. 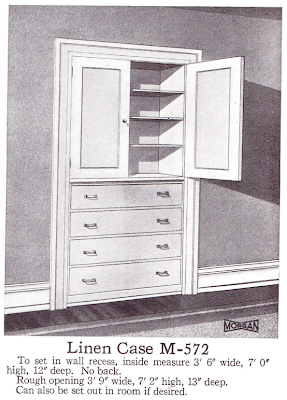 From the Curtis Cabinet and Stair Work catalog, 1927. 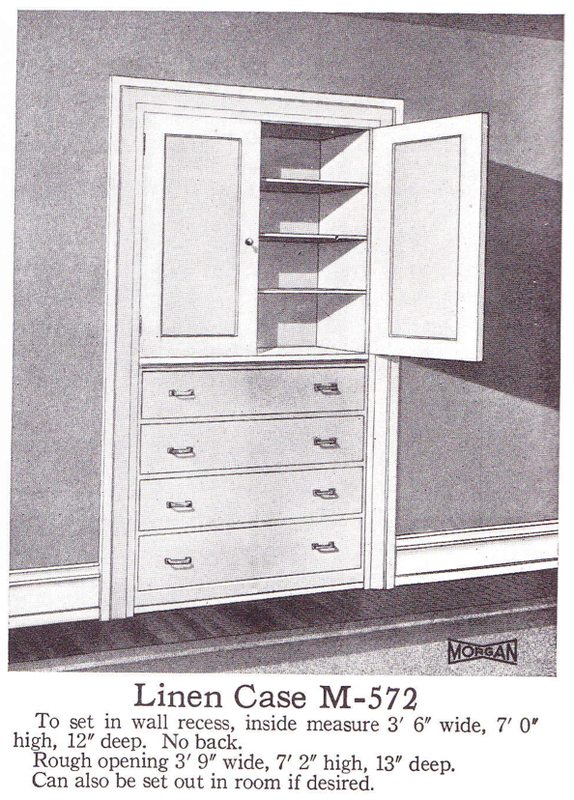 From a Sears Honor Bilt Building Materials catalog, 1930.